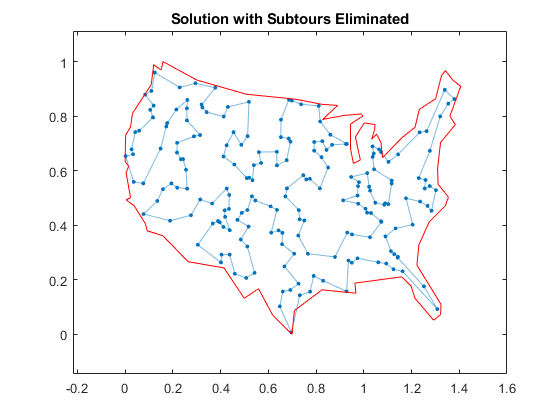 For the problem-based approach, see Traveling Salesman Problem: Problem-Based. 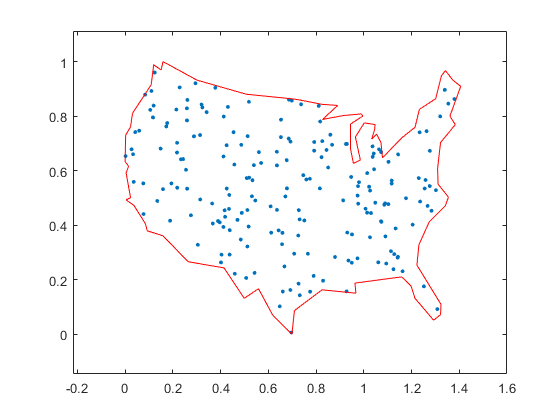 where x_tsp is the binary solution vector. This is the distance of a tour that you try to minimize. 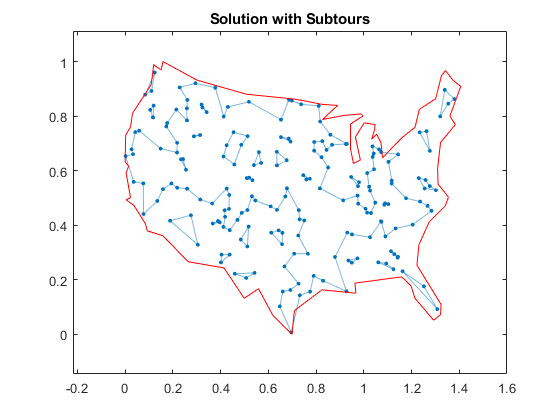 Specify the first type of equality constraint, that you must have nStops trips, in the form Aeq*x_tsp = beq. To specify the second type of equality constraint, that there needs to be two trips attached to each stop, extend the Aeq matrix as sparse. All decision variables are binary. Now, set the intcon argument to the number of decision variables, put a lower bound of 0 on each, and an upper bound of 1. The problem is ready for solution. To suppress iterative output, turn off the default display.